Stop. 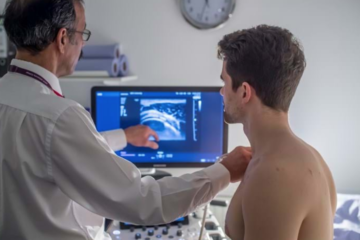 Before you read the following article, you should really read this discussion about the benefits and potential pitfalls of doing an IR rotation. If you have decided to participate in an away rotation, this article is meant to help guide you through that process. Many, but not all, IR away rotations can be applied to through Visiting Student Application Service (VSAS). 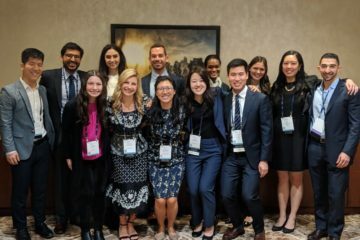 According to their website, VSAS seeks to reduce paperwork, miscommunication, and time spent applying to away rotations, by only requiring students to fill out a single application for all participating institutions. You can log in to VSAS and create an application once your home institution assigns you VSAS authorizations (typically around 10, but you can request more). This typically happens between January and March of the academic year before you plan to rotate. Each elective request requires an authorization. Once you have received your VSAS authorizations, you must log in and complete a VSAS profile. This profile includes your contact information as well as the dates by which you will have completed your core clerkships. Your home institution must verify this information. Host institutions accept applications at different times—typically between March and May of the academic year before you plan to rotate. To determine the exact dates that a given institution will be accepting VSAS applications, search for the institution under the Institutions tab. This tab will also alert you about any supplemental information that is required by the institutions to which you are applying. Under the Documents tab, you can submit the common documentation required for all VSAS applications, as well as any supplemental documentation that your potential host institutions require. Most VSAS applications require a CV, a photo, a transcript (which can only be submitted by your home institution), and immunization forms. Some institutions may also require a personal statement and other forms, typically related to their specific electronic medical record system or occupational health and safety procedures. Unless an institution requires a personal statement, your CV will be the application component that you have the most control over, and, therefore, deserves the lion’s share of your effort as you navigate this application process. Most institutions will have a career development office that can help you compose an informative and aesthetically pleasing CV. At my institution, most of this office’s efforts are focused on postdoctoral students. However, they have historically made themselves available to medical students who ask for help. In short: even if you’ve never heard of such an office at your school, you probably have access to one somewhere on campus, and it would behoove you to seek it out. A suggested format for this important document can be found at my institution’s website. You can search for and apply to the electives you’re interested in under the Electives tab. The search functions in this tab allow you to sort electives by state, institution, and specialty, among other designations. Unfortunately, as of right now, interventional radiology is not one of the specialties available in the “Specialty” drop down menu. However, Alexandria Jo has created this database of IR away electives to help you find the right rotation for you. 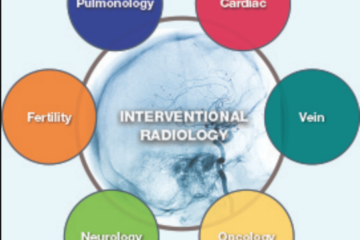 Most of the VSAS IR electives can be found by searching for “Radiology-Diagnostic” as a specialty. However, there are some (e.g. Temple University’s NSUR 9010: Endovascular Neurosurgery/Neurointerventional Radiology elective) that are filed under different specialties. This database also contains a growing list of away electives that are not available through VSAS, complete with links to help you start applying. Begin making a list of the application opening dates starting as early as January of your third year—most will not accept until much later, but it is important to know which programs accept applications on a rolling basis so that you can apply early. Some programs use a first-come first-serve basis for designating spots. Overall, be careful not to over-apply—withdrawing from programs may be difficult to explain when interviewing at that program for residency! Finally, VSAS’s Tracking tab helps you monitor the status of your application and accept or decline the offers that you receive. Students should be aware that VSAS charges a fee for every institution to which you apply, regardless of the number of electives you apply for at that institution. As of this writing, students are charged $35 for the first institution, and $15 for each additional institution. I’ve covered the various elements you’ll have to consider while applying for away rotations through VSAS. However, if anything remains unclear, you can visit the VSAS website for more information. Among other things, some of the most helpful resources available on the VSAS website are video tutorials for completing each section of the application. Resources for students can be found here. Applying early is important to securing a spot where you would like to rotate. The best way to do this is to have your CV done and your immunization records handy. I suggest making an appointment at your school’s employee health office ahead of time for a provider to fill out and sign your forms, and to give any additional immunizations you need. Some school require two sets of TB testing, urine drugs screens, and current documentation of the flu vaccine. Should you choose to participate in an away elective, we at the SIR MSC wish you success. We hope you find the resources we’ve collected helpful. Now, go e-mail your student affairs office to request VSAS authorizations and start working on that CV!